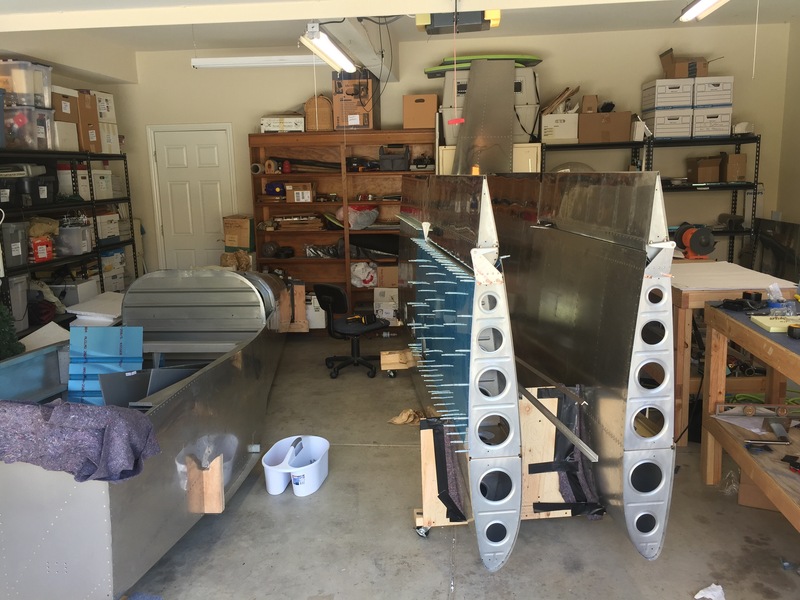 Today I rigged up the remaining flap and lower wing skin on the right wing. Here you can see the flap and aileron are perfectly aligned. 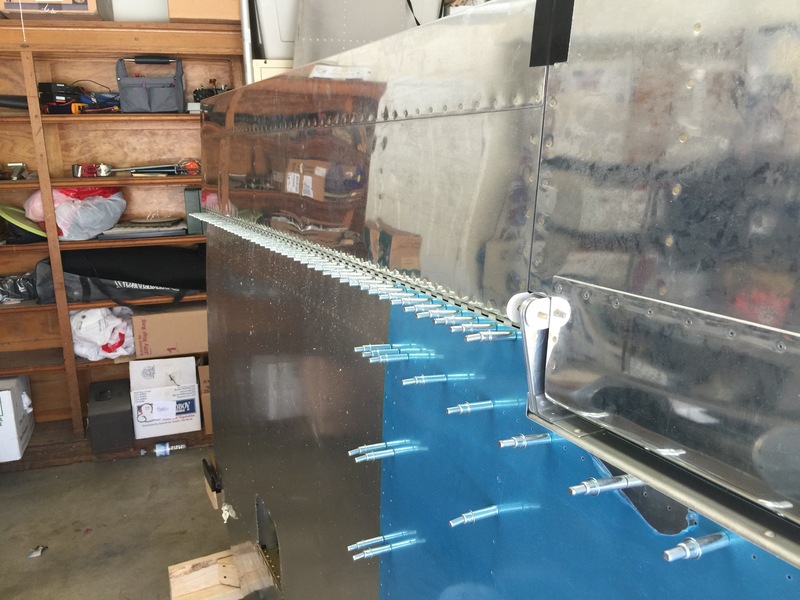 The gap between the two is 1/64″ under 1/4″ but with final riveting of the flaps and when I rig the aileron I can increase that gap to at least 1/4″. Here’s the shop with the lower wing skin on the right wing it’s been match drilled to the structure. Here’s the flap drilled to the structure. 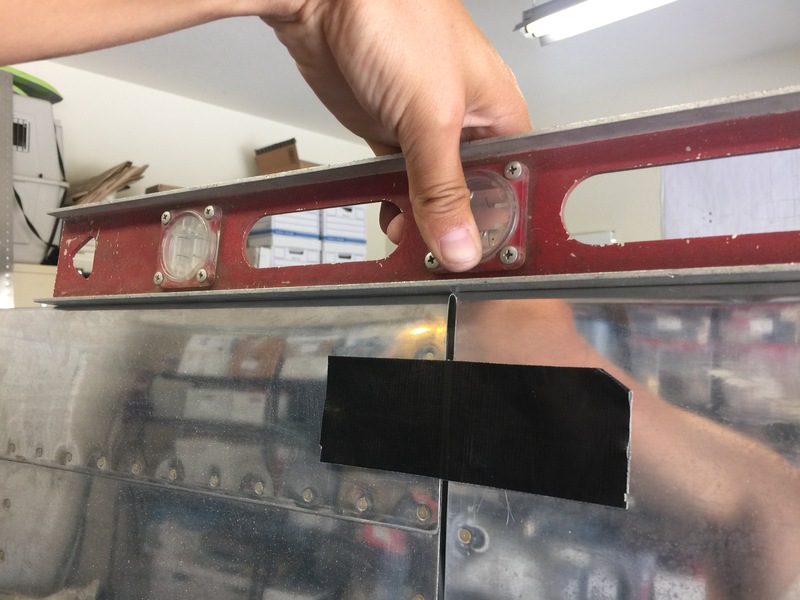 It’s perfectly aligned from the inboard to the outboard section of the flap. I also rigged up The pitot tube mount. I fabricated a bracket that’s clecoed to the rib. 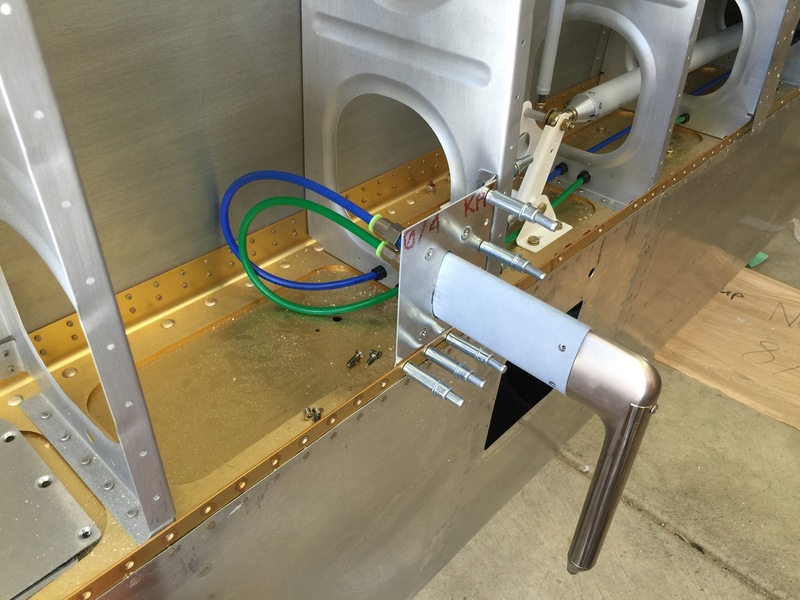 I decided to mount the pitot tube just outboard of the outboard access hatch. Some builders find this could interfere with the tiedown location (the small hole just above the square cutout). As long as I don’t get careless with tieing down the plane it shouldn’t be an issue. Here you can see the bracket clecoed to the rib and Lito mount bracket. 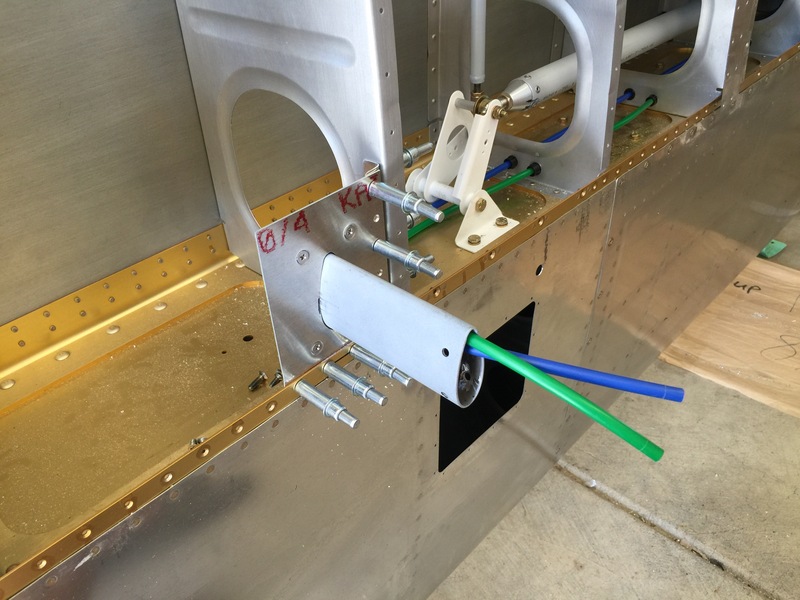 Here the pitot tube was installed temporarily. 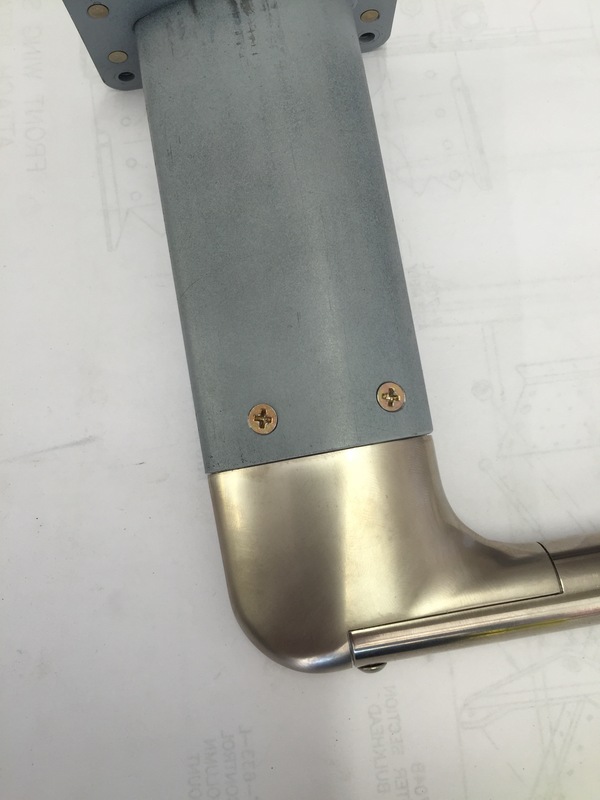 The pitot tube mount can be removed from the plane with 4 screws that will install in dimples on the skin. This is incredibly strong as it is, but once I rivet the skin on it will be rock solid. 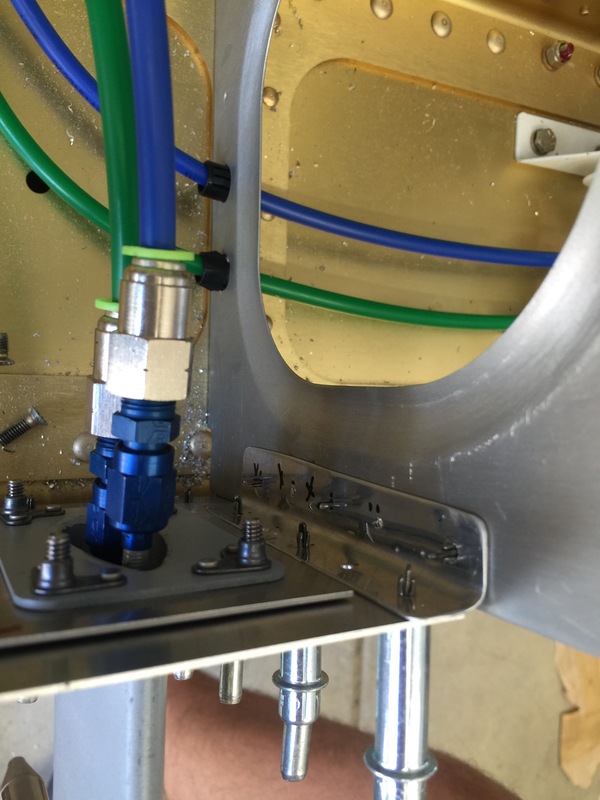 I also drilled and tapped the pitot tube for #6 screws to mount it flush with pitot tube mast.